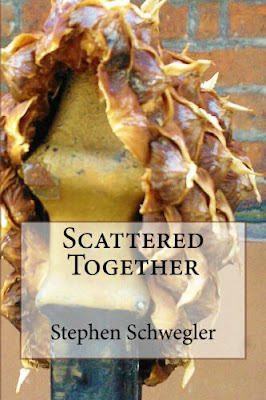 STEPHEN SCHWEGLER: New Story Available Next Month! New Story Available Next Month! My short story entitled "A Parking Space Fit for an Elephant" will be published in the 2010 Jersey Devil Press Anthology, due out July 27th, 2010. A link to the pre-order can be found here. Also, have I got an offer for you. Well, Jersey Devil Press actually. For $25 you can get the anthology and another other book on their site. That could be my book, Eirik Gumeny's Exponential Apocalypse, or even another copy of the anthology should you want to give one as a gift to someone. It'll make a perfect addition to anyone's library. That means a savings of $3.98. Have fun with that. But wait! There's more! Any order over $25 gets a free set of magnets. It's all detailed by Eirik here. So, everyone, please pick up a copy. It features some excellent stories inside by some fantastic authors and they're all looking for a home. If you don't buy it, a few may have to be put down. Ball's in your court. You want that on your conscience? Didn't think so. Labels: Anthology, Eirik, Exponential Apocalypse, MAGNETS, New Story, Perhaps.